The A4 road from Reading towards Bath has a long history of time trials. Time trials have been held on different sections for perhaps over 100 years. It goes right back to the early days of getting up at the crack of dawn and setting off surreptitious in all black pretending to be out for solo training ride. 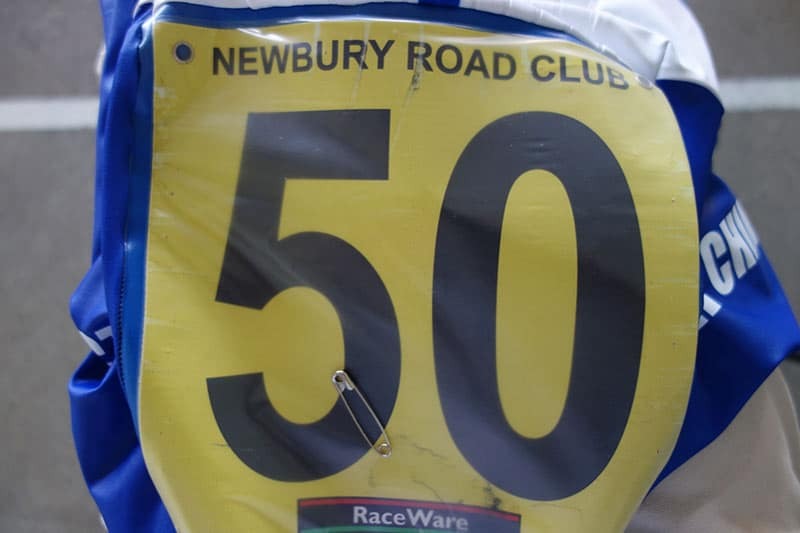 In the days before national championships, the Bath Road Club 100 was seen as one of the premier time trials in the country. 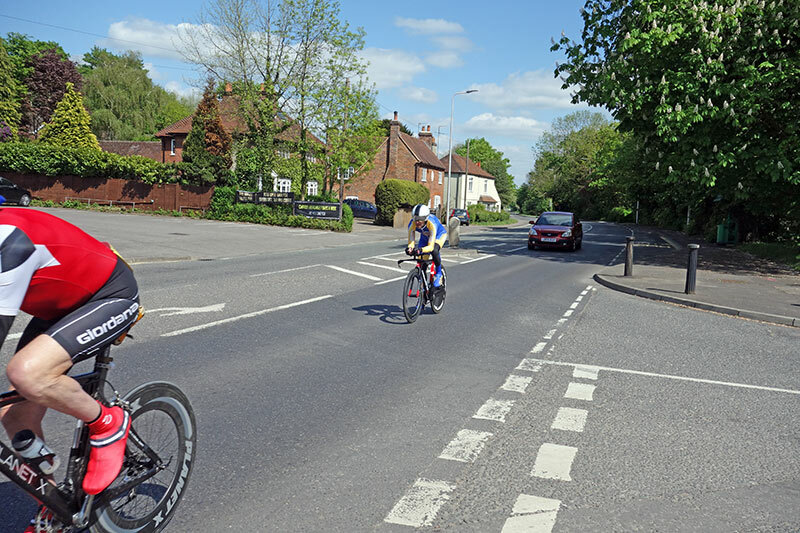 After the race, I spoke briefly to Jim Burgin, long time stalwart of London West Cycling Association who remembers in early 1960s, time trials starting on Pangbourne Lane – no roundabout, just T junctions with riders able to enter the road, that had an incomparably different level and type of traffic. The H25/1 was also one of the very first open time trials I entered back in 2004. In the early years, I did many time trials on this course, and got to know the roads really quite well. For various reasons, I haven’t ridden the course for quite a few years. 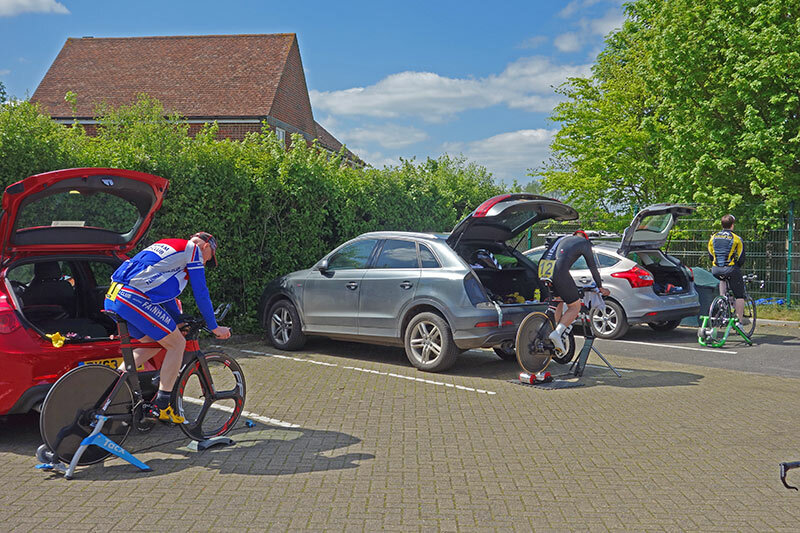 But, today was entering the Newbury R.C 25 mile TT. After heading north to enter many hill national time trial series, this felt like going back to a different kind of event on a nice flat local course. The H25/1 is one of the flattest courses in the country. No wonder it was popular in the days of fixed gears. It would be fine to ride fixed even in the current age of 22 speed electronic gears. I think the maximum gradient in the whole course is 1%. The total elevation gain for the 25 miles is 220m. 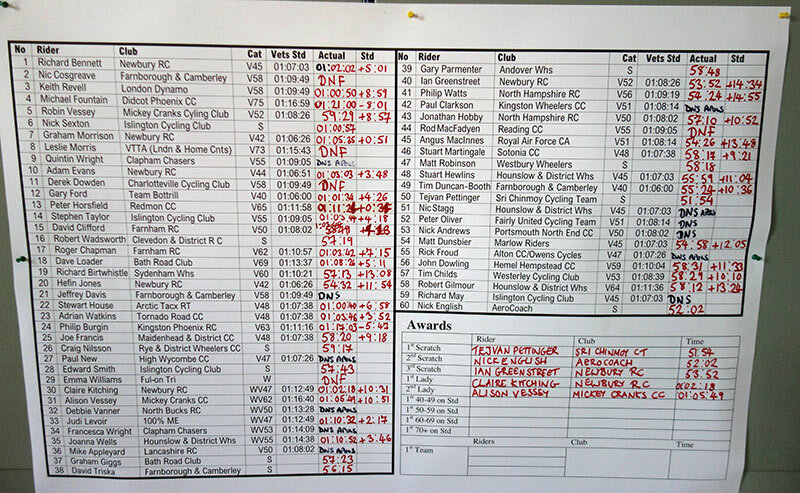 I was a little disappointed with last week’s Charlotteville CC 50 mile TT. 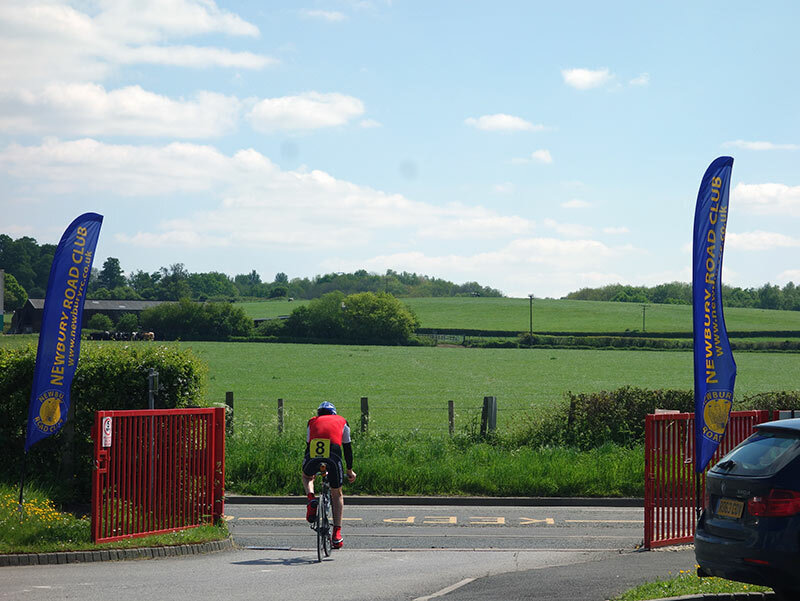 A familiar time trial story of setting off OK, but fading in the last half. Today, I was on good form. The road surface is much smoother than I remember, and better than the Chawton stretch of the A31. I had a good run on the course, the roundabouts were clear. The only point I had to slow down was by the speed camera. I was doing perhaps 31mph, but cars see speed cameras and panic, throwing on brakes. I bet that speed camera wasn’t there in the early 1960s. It was deceptively cold though. Coming down in car, the sun was strong, but there was also chilling northerly wind, to give a bit of crosswind on the course. Since it was cold, I decided to ride without a water bottle. Usually I take one for a 25 mile TT, but often end up only taking a couple of sips. 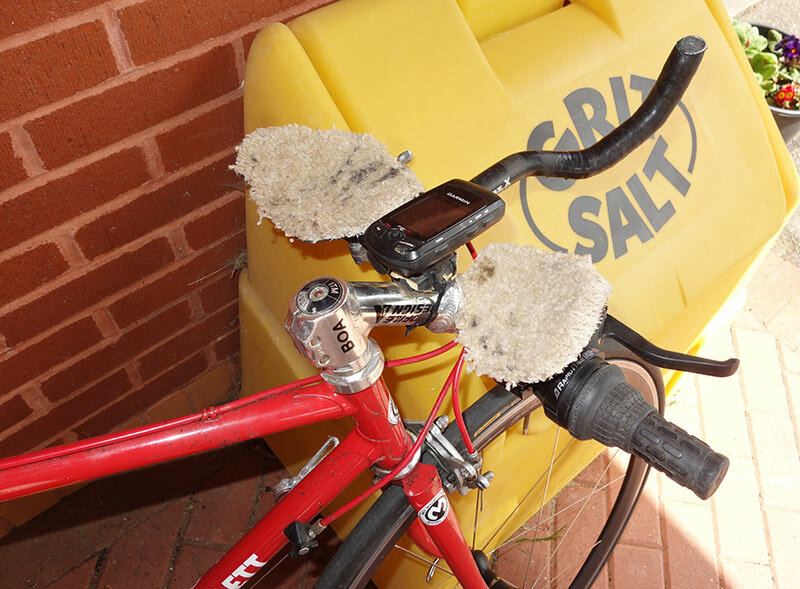 Since it was cold, I thought I would save a few watts on aerodynamics. The plan wasn’t so well executed because I left my bottle cage on. I don’t think it works to leave last minute maintenance jobs just before a race. Anyway, I set off reasonably quick, and as the race progressed felt more power and speed. It was one of those days, when you get in the zone. After last week, I was pleasantly surprised as the average power kept rising. In the end I averaged 323 watts, which is good for a lightweight. In fact it was so good, I’ve even started to doubt power meter. It was a close run thing between me Nick English (Aero Coach). In the end it was about 10 seconds difference. I finished in 51.54 or something. Thanks to Newbury RC and volunteers. I really enjoyed coming back to the A4. Many a time, I’ve died into a headwind in some previous event. I’ve done very few 25 mile TT with power meter, but I’ve done very few 25 mile time trials with that kind of split and power profile. 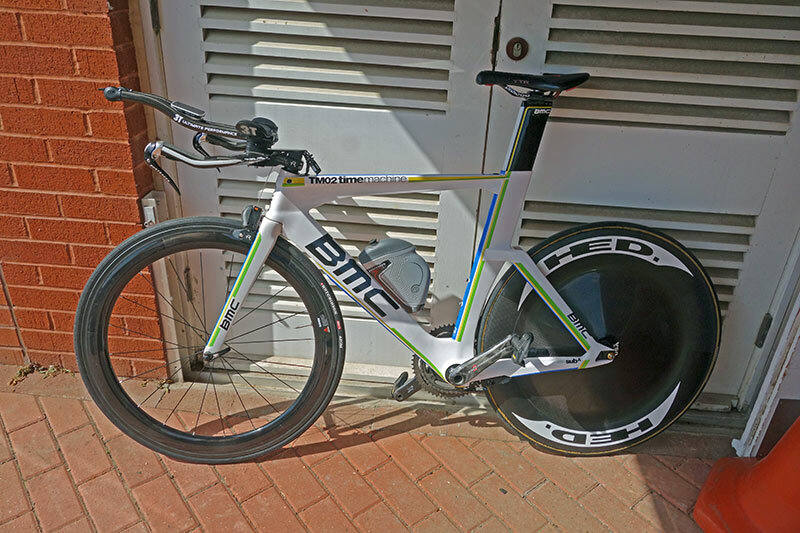 BMC TIme Machine. 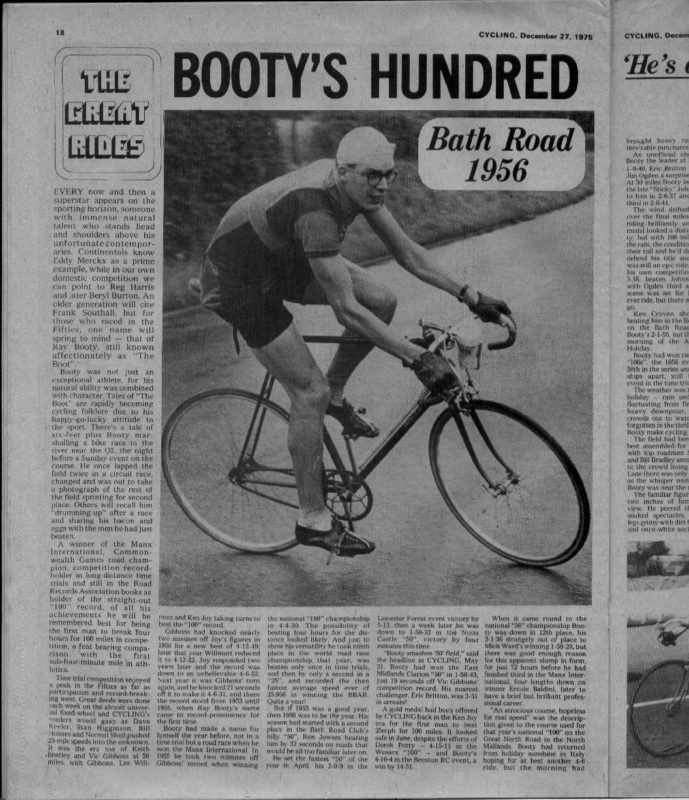 Imagine if you could go back in a real time machine and ride a 1950s time trial on this. It’s not all high tec. 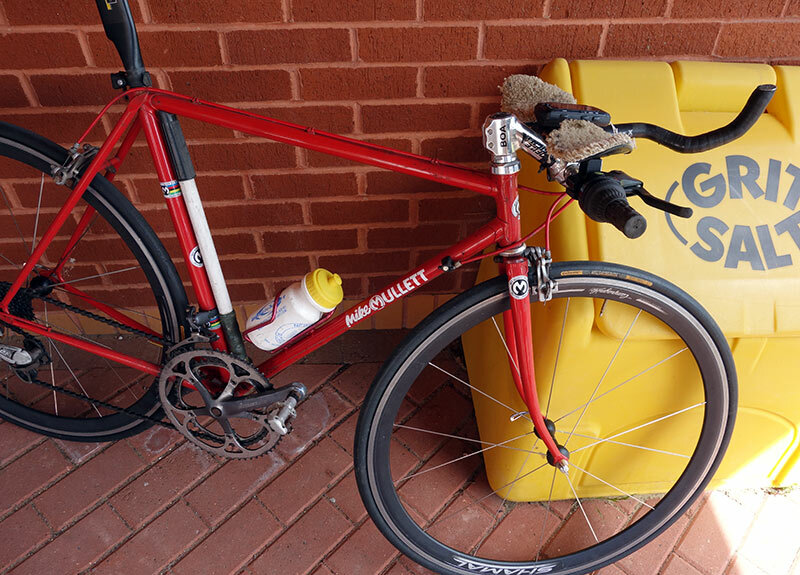 Mike Fountain’s bike has pedigree, and note customisations for comfort on aerobars. Some traditions do die. The age old tradition of pinning number is no more with NoPinz. Kudos to Mike for a V75 1.21 on his old school steed.